If you are one of the 264.58 million subscribers who use Airtel postpaid connection to keep in touch with your near and dear ones and you are residing in one of the metro cities of India which has good internet connectivity, then you are one of those few lucky ones who can use the facility of Airtel prepaid recharge online from a recharge reseller or an aggregator site like Paytm, Phonepay or Mobiquick. Download the reseller Application onto your mobile handset and register yourself providing your name, contact number and email id. Registering with the reseller has another benefit – you can use the facility of the online wallet of the reseller. The process for using this is quite simple too. You just need to transfer some money virtually to the wallet from your bank account. In case you do not wish to download the App, you can alternately use the reseller website to register and conduct the tasks ahead. For Airtel prepaid recharge, first fill up your 10-digit mobile number. The operator needs to be selected from a drop down menu. Select Airtel. Chose the Circle next – this depends upon the region or state of your residence. Airtel currently offers its services to the following states – Assam, Andhra Pradesh, Bihar Jharkhand, Chennai, Delhi NCR, Gujarat, Haryana, Himachal Pradesh, Jammu and Kashmir, Karnataka, Kerala, Kolkata, Madhya Pradesh Chattisgarh, Maharashtra, Mumbai, North East, Orissa, Punjab, Rajasthan, Tamil Nadu, UP East, UP West and West Bengal. Once the circle is selected, you will be asked to fill in the amount. Before this step, it is important that you browse through the different plans that Airtel offers to its customers. Depending on your requirement and preference – data, Talk Time, Roaming and Local calling – choose the one that is suitable. Also keep an eye on the validity period – while some packs are cheaper, their validity period is also less. Again, individual preference is what is going to be the selection criteria. 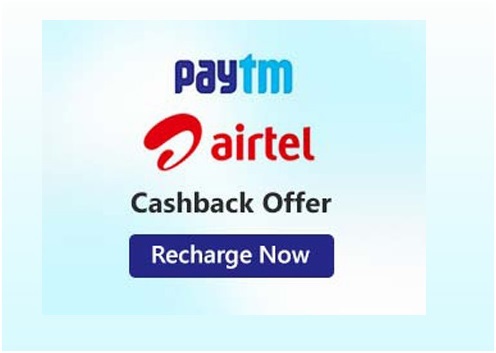 You will be then prompted by the site or the App to choose a relevant Promo code or cash back offer so that you end up paying much less than the actual value of the recharge. When you press the submit button, you will be asked to choose the payment option. Choose from credit card; debit card, Netbanking or e-wallet payment options. Fill in the required details and your online recharge is almost done. Recharges from reseller sites are completely safe and secure with strong payment gateways and SSL oriented systems at the backend. Once the payment is through, you will receive a confirmation text message on your registered mobile number as well as an email at your registered email id confirming the recharge. The money is automatically added at the backend to your existing Airtel balance and you are ready to enjoy smooth surfing and stress-free calling once again.